It was with much anticipation that Salesforce DX, Salesforce’s new developer tool, officially went into open Beta launch at the TrailheaDX developer conference on June 28th. Finally, Salesforce offers a life-cycle development tool that incorporates version control and continuous integration and delivery. This has been a huge gap in the platform and causes issues for teams with multiple developers. Will Salesforce DX live up to the hype? One feature that many organizations will like is that Salesforce DX has a Bring Your Own Tool (BYOT) philosophy. It integrates with popular tools like GIT, Selenium, Jenkins, Travis and much more. And with Open API no matter the IDE or automation tool of your choice you can still utilize Salesforce DX. Salesforce DX makes it easy for developers to spin up what they call “Scratch Orgs”. A scratch org is a disposable emulation of your source org and designed for one developer to use when writing code. Scratch orgs can be viewed and managed from the new Dev Hub in Salesforce setup. Developers can easily spin up and populate their scratch orgs with packages using new Salesforce Command Line Interface (CLI). Moving metadata is done via DX projects that creates XML files. Moving sample records in and out of scratch org utilizes SOQL queries to create JSON files. While utilizing CLI may appeal to some hard-core developers, it may turn off some release managers who are used to quickly creating Sandboxes and viewing and managing change sets. 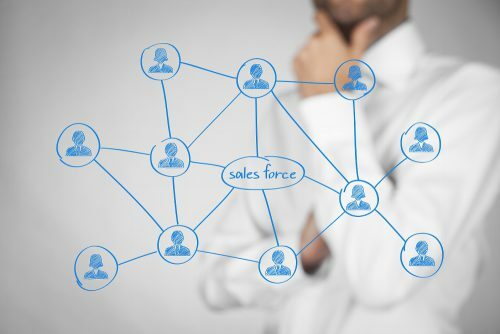 In addition, Salesforce has some tough competition from easy-to-use tools such as GearSet and Flosum. Of course, being early in the open beta, there are certain known issues and key functionality missing. I can’t wait to fast-forward five years to see how Salesforce DX evolves.